From science fiction classic to industrial heavy metal concept albums, the vision of man and machine amalgamating into one has always captivated our imaginations. So it's no surprise to hear news of the world's worst electronic tattoo has finally become a reality. Created by American design technology studio Chaotic Moon Studios, the new skin-deep gadgets are a type of temporary transfer - in fact, the circuit used is so thin it uses a type of conductive ink to function. 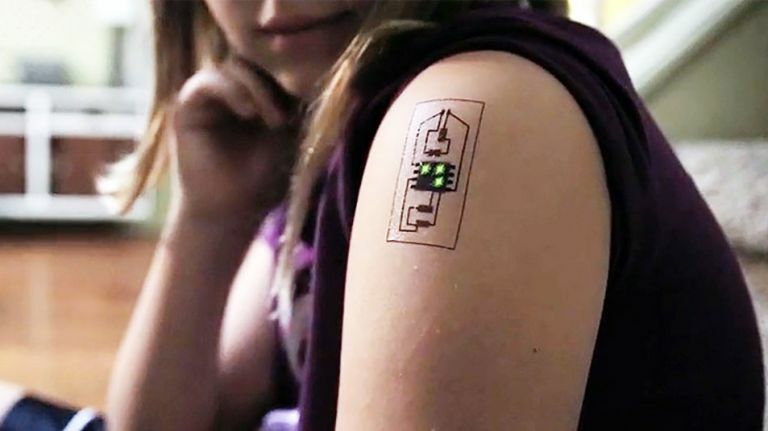 And while they might seem like a mad scientist's foray into Terminator cosplay, the biometric tattoo has actually been created with the field of medicine in mind. The idea is to replace traditional (and more cumbersome) tracking devices in favour of something so light you'd barely even realise you're wearing it. Much like the ingestible tracker we covered recently, the biometric tatt would, in theory, enable docs to keep up-to-date on your vitals as you go about your day-to-day life.